The school run took a bit longer than usual today. About three hours longer. The first sign of something amiss was a lot of rattling in the car as we set off. Then everything seemed a bit bumpy – but then our road is full of lumps and bumps, thanks to snow-induced pot holes. The car still seemed oddly sluggish even on the properly tarmac’ed main roads, but we pressed on. Then I saw some smoke. ‘Someone should get their exhaust seen to,’ I tutted. I probably would have continued, in full denial mode, until the car had actually ground to a shuddering halt, if Child One hadn’t said, ‘I think there’s something a bit wrong, Mummy.’ She had a point, everything was definitely rattling for Britain by now. I wound down the windows to listen, and soon heard that distinctive flapping sound. Blimmin flat tyre! We managed to limp to the school, and I cursed the fact that I hadn’t brought my book with me. I never go anywhere without a book, except today, as I was due to meet a friend in the park. Child Two very sweetly lent me her copy of Flambards, by KM Peyton, a book I love to bits, but I scarcely had time to read a page. First I called the AA, who had me down on my knees on the pavement searching for a spare wheel. Nope, don’t have one. ‘Do you have a spray in the boot?’ Well, I’ve got my scent spray, of course …. but apparently that was no good. We at last established that I had a jack, and might well have other tyre accoutrements, if only I could find them in all the secret cubbyholes my car has tucked away. Then I rang my friend, who rose to the occasion heroically and set off to find us coffees and muffins and then came and hunkered down to await my AA saviour. Gosh. Kerfoof. When I think about how much motorway driving we’ve done over the summer – to Dorset twice, to Wales, to the Isle of Wight – I am thanking my lucky stars we didn’t have a kerfoof moment. The lovely AA man then proceeded to check all the other tyres out carefully for me, put air in them and give me a lecture on tyre maintenance. I won’t exhaust you with my newfound knowlege of pressure, bars and thingies, but will just say that if the tyre looks saggy where it rests on the road, that is Not Good and you need more air. The car is a lot less rattly now. I do love a nice AA man, while hoping I never have to see one ever again. 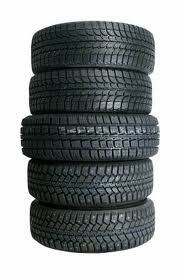 Thanks for heads up on tyres – thought one of mine was looking a bit dodgy earlier, and I’ll now get it checked out. I know, there’s something very comforting about AA men. This one was lovely, though he did give me a good ticking off about tyre maintenance. Definitely get yours checked! Ooh, Flambards! I loved it, glad to hear the younger generation do do. I recall thinking it was rather racy! Flambards is just my utter favourite. And yes, I think it is a bit racy – she gets off with all three of the boys (though not at the same time!!). Very romantic. I cried buckets at the second of the triology, the Edge of the Cloud, remember that?